47 H-38634077 - Extension Tube. 22 H-36781041 - Bag Housing Seal. 52 H-38793002 - Bag Check Diaphragm. 12 H-37196006 - Actuator Access Cover - Abe. 14 H-37195103 - Motor Cover Abe. 15 H-36781042 - Motor Cover Seal. 28 H-37912O14 - Wheel Cover - Abe (2). 3 H-36151013 - Bag Door Latch - Abe. 1 H-37257171 - Tool Door - Mn. 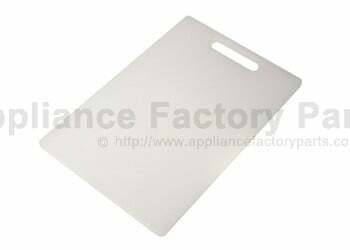 4 H-37257198 - Bag Housing Door - Abr(incl. Items 2,3). 20 H-35476012 - Frame - L.h - Ag. 37 H-41967004 - Frame Assembly - Ag. - R.h.
42 H-31754002 - Handle Sleeve. 43 H-39458010 - Handle Grip - Lower Half - Abe. 38 H-38452069 - Handle Release Lever Ag. - R.h..
56 H-36462063 - Handle Release - Ag. 48 H-21362006 - Speed Nut. 9 H-21447230 - Screw - Self Tapping. 36 H-23149001 - Tapping Screw And Washer Assembly. 10 H-21447203 - Screw - Self Tapping (2 Req.). 44 H-21447611 - Screw Self Tapping. 18 14-160031 - Nut (p.d. Unit/ Pulley) (2). 46 H-21447016 - Screw - Self Tapping - Ay. 3 H-42252362 - Hood Assembly - Abr . 52 H-52116201 - Hood Nameplate . 51 H-32286025 - Hose Adapter - Long - Ag. 46 H-36433103 - Lower Hose Support - Abe. 48 H-43434095 - Cleaning Tool Hose Assembly. 49 H-36116013 - Hose Connector Collar - Ag (2). 50 H-38638058 - Hose Connector-ag. 24 H-43576102 - Motor Assembly Complete. 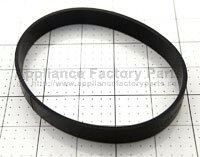 25 H-34123043 - Motor End Cap Seal. 66 H-37194027 - Motor End Cap - Abe. 40 H-36142002 - Drive Control Pin. 27 H-13730 - Lock Ring. 16 H-19555 - Spring Washer. 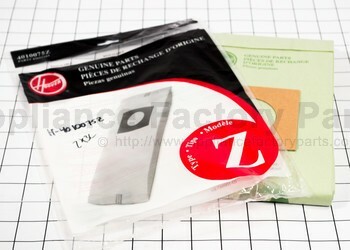 26 H-21312772 - Washer (2 Req.) . 36 H-160014 - Retaining Ring . 21 H-17001 - Screw . 13 H-38511002 - Pivot Bearing. 8 H-38511027 - Pivot Bearing. 43 H-34123003 - Duct Seal. 22 H-32155004 - Pivot Bearing. 31 H-32547002 - Rear Axle. 39 H-34788001 - Agitator Clip. 41 H-31522016 - Agitator Clip Pin. 32 H-38537001 - Drive Pulley. 24 H-38335014 - Spring (2) . 33 H-43124013 - Power Drive Unit. 19 H-38562010 - Lifter - L.h..
H-57363002 - Scent Tablet (4 Pk.) . 36 H-43414146 - Dusting Brush Assembly - Abr. 37 H-38617026 - Crevice Tool - Abr. 5 H-21641568 - Hex Nut - Mx. 6 H-36131088 - Cable Retainer Bracket - Ay. 7 H-43143045 - Actuator Bar Assembly - Ag. 11 H-66661203 - Control Cable Tube - Ag. 17 H-23187200 - Tapping Screw And Washer Assembly. 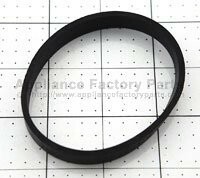 23 H-38734012 - Fan Chamber Seal - Ag. 26 H-46322002 - Dirt Finder Lead Assembly. 29 H-38656029 - Dirt Duct. 31 H-39452039 - Switch Rod - Lower. 34 H-36933087 - Tool Holder. 35 H-3e614036 - Furniture Nozzle - Abr. 66 H-28218613 - Switch Assembly - Aap. 68 H-32783020 - Duct Seal - Ag. 69 H-32755030 - Fan -he. 70 H-38736019 - Fan Chamber -abe. 1 H-39383092 - Dirt Finder Lens. 4 H-36236087 - Furniture Guard - Abe. 7 H-46328002 - Dirt Finder Lead Assembly. 8 H-27472307 - Lead Wire Tie. 9 H-36912006 - Dirt Finder Bracket - Ag. 11 H-36476016 - Agitator Housing Bracket - L.h..
16 H-163199 - Retaining Ring. 30 H-34122019 - Bottom Plate Duct Seal. 36 H-160040 - Key Lock. 40 H-38562O13 - Lifter - Ag - R.h..
42 H-43486006 - Duct Assembly. 46 H-34761002 - Detent Spring. 47 H-38563018 - Cam - He. 51 H-38184067 - Seal - Ag. 53 H-38121086 - Nozzle Adjustment Lever - Abe. 2 H-37246005 - Belt Indicator Panel - Abr . 44 H-35476007 - Wheel Carriage - L.h..
34 H-163340 - Drive Wheel Assembly. 28 H-38522032 - Rear Wheel.